Russell McVeagh has been recognised as New Zealand’s premier commercial law firm, with 24 of the firm’s partners listed in the new edition of Best Lawyers®. The firm is a top listed practice in Auckland and Wellington for Real Estate, Capital Markets and Natural Resources. 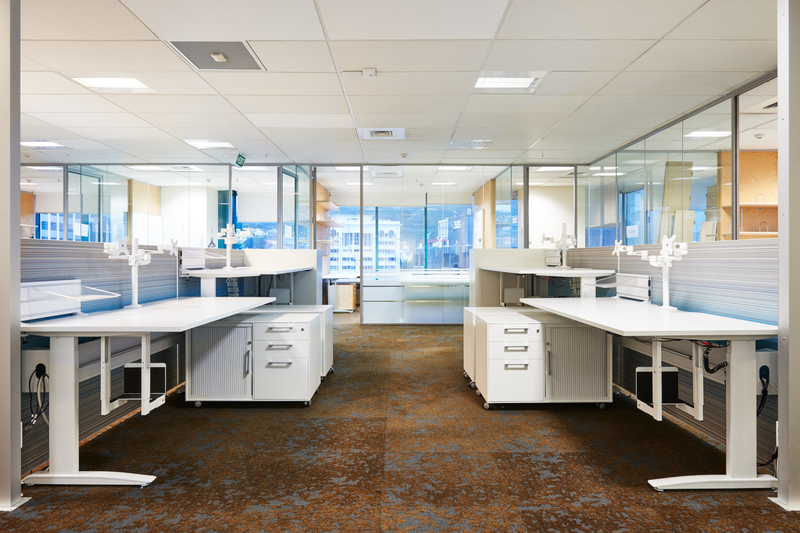 It has nearly 400 staff and partners across both Auckland and Wellington offices. Their lawyers are highly regarded in their fields and are recognised internationally for their expertise. Through a successful relationship with a designer, we were invited to look at the Russel McVeagh project in Wellington. The client came through our Wellington roadshow and was interested in our products, capabilities and services. We proceeded to the next stage looking at the project in more detail, including assessing user work habits and needs along with very specific requirements for technology integration. 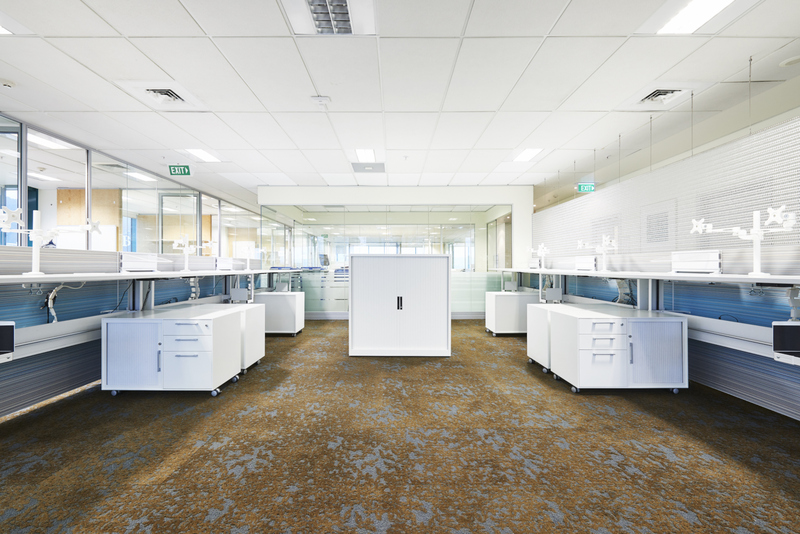 There was significant need for power and data at the user workspace including power access above and below the desk. 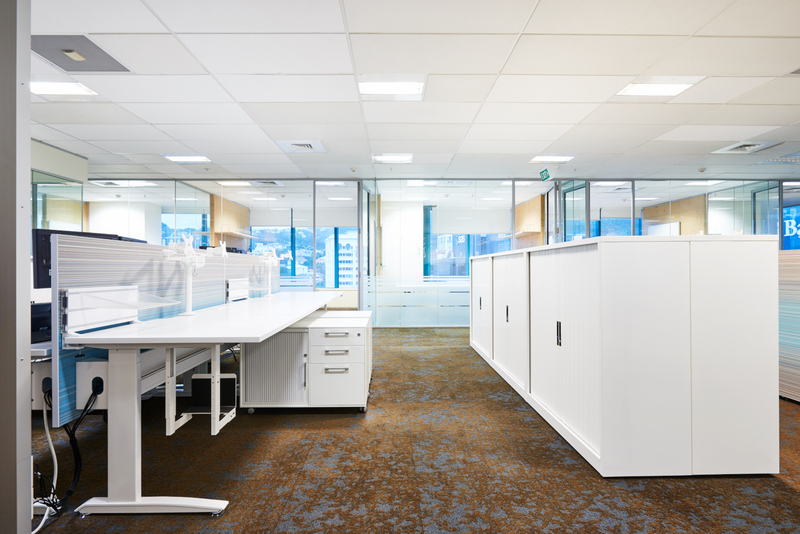 The project required that we manipulate a base product which had limited capacity for technology management, creating a purpose-built cable management solution using flexible cable spines specifically designed for use with sit to stand workstations and comprehensive cable management. Additional products were supplied to further enhance the functionality of the workspace, including monitor arms and CPU holders. Our locally based manufacturing capability enabled us to achieve all of this working on the factory floor through intensive research and development. Following thorough development, at very short notice, Shape created a prototype and assembled it within the Russell McVeagh floor space for client approval. The prototype was left on site for the client to test. Our ability to respond quickly with applicable purpose built products meant that we were viewed with some favouritism by the client. This presentation model allows our clients to spend time with the proposed solution giving them time to make a confident decision and ensuring that the products specified are the best fit for the project. The end result was a unique and eye-catching fit out with service that exceeded the client’s expectations.